F1 pre-season testing is a week away and Formula 1 teams have already started to reveal their challengers for the 2018 season. 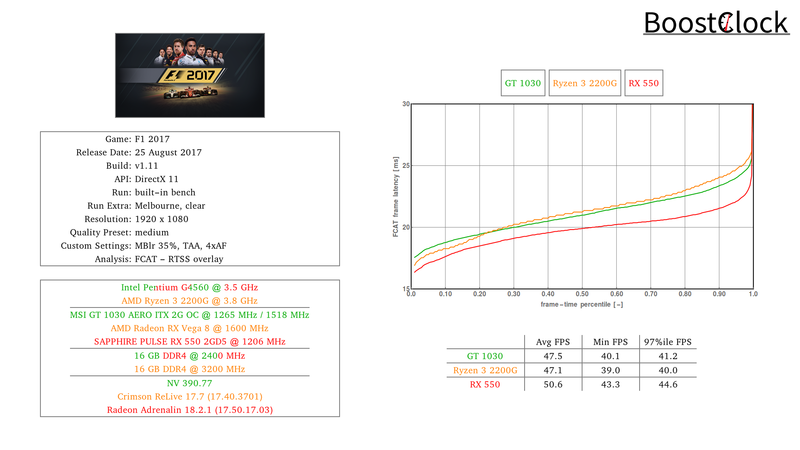 In preparation for the first race of the F1 World Championship we check out the performance of our budget PCs in Codemasters F1 2017. 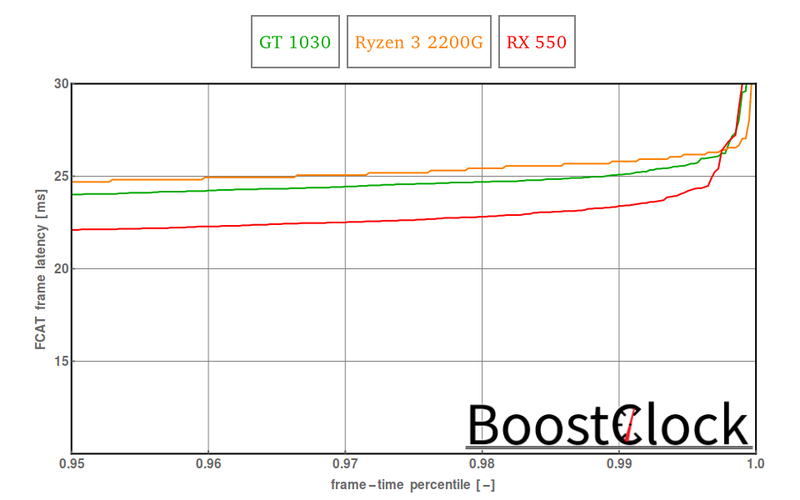 It's a photo finish around Albert Park as Vega 8 was able to put up a fight against the dGPUs in 1080p and medium quality preset. Although the RX 550 and Vega 8 gobble up all available VRAM resources, the GPU memory usage won't rise above ~90% on the GT 1030 - don't know the reason, double-checked the log files and every setting was the same. 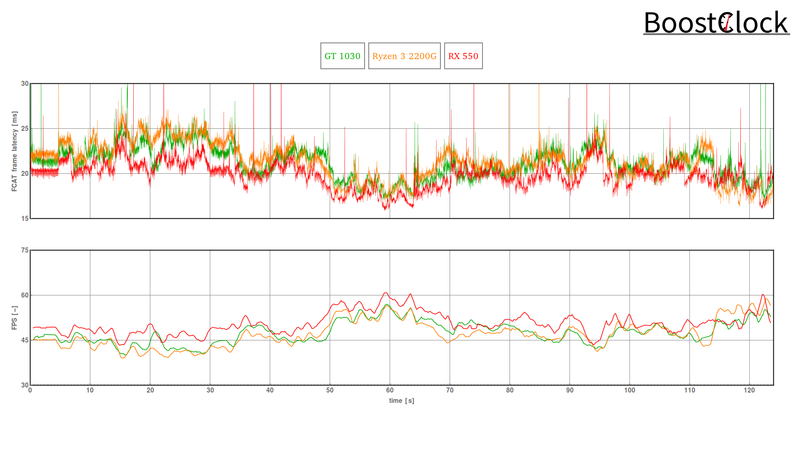 VRAM usage of games have gone up recently and it is increasingly worrying for budget dGPUs sporting 2 GB GDDR5.